The Fauresmith prison was built in 1881. The main building material was stone, and it has been declared a national monument. It is still in use for the detention of sentenced prisoners and prisoners still awaiting trial. Standard Bank moved into this building in 1919. In 1998 the bank closed their doors for the last time. The building was bought by Dr Benja van Zyl, and donated to the Dutch Reformed Church. It currently serves as a church office. A part of the building, known as "Die Blou Galery" is used as a church hall. 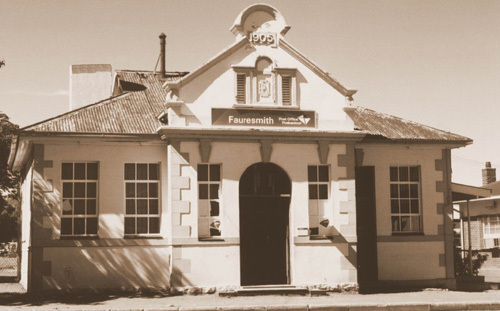 Fauresmith's first Post Office was located on the stand next to where it is now. The current Post Office was opened in May 1905. The telephone exchange began operations in 1921. The farms are still served with an operator-exchange. Fauresmith's first Town Hall was erected in 1880, but the building burnt down on May 15, 1927. 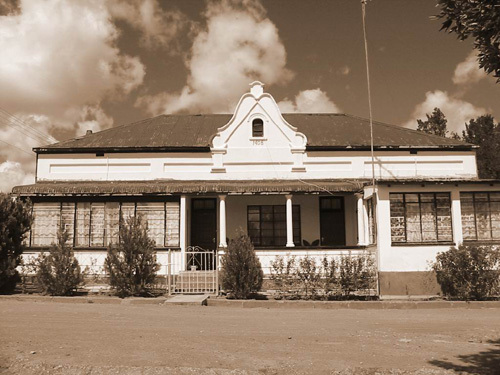 The current Town Hall was completed in June 1930, and was inaugurated by the Administrator, Mr CTM Wilcocks and the mayor Dr JJ van Niekerk. This imposing building stands in the centre of town. 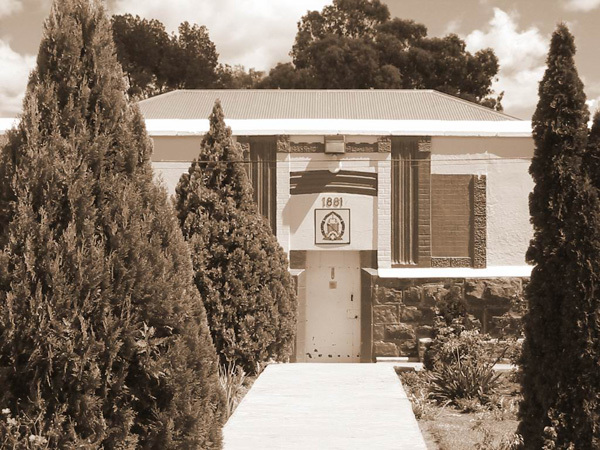 The current magistrate's and police offices were inaugurated on 15 December 1936. Jagersfontein, Petrusburg, Luckhoff and Koffiefontein districts were part of the Fauresmith magisterial district. Jagersfontein and Koffiefontein later also became magisterial districts. This is the original building which housed the school which Emily Hobhouse established to rehabilitate Boer women after the war.